For most of the week leading up to #10 Auburn’s matchup with #1 Georgia, I was relatively quiet. I knew the task was tall. 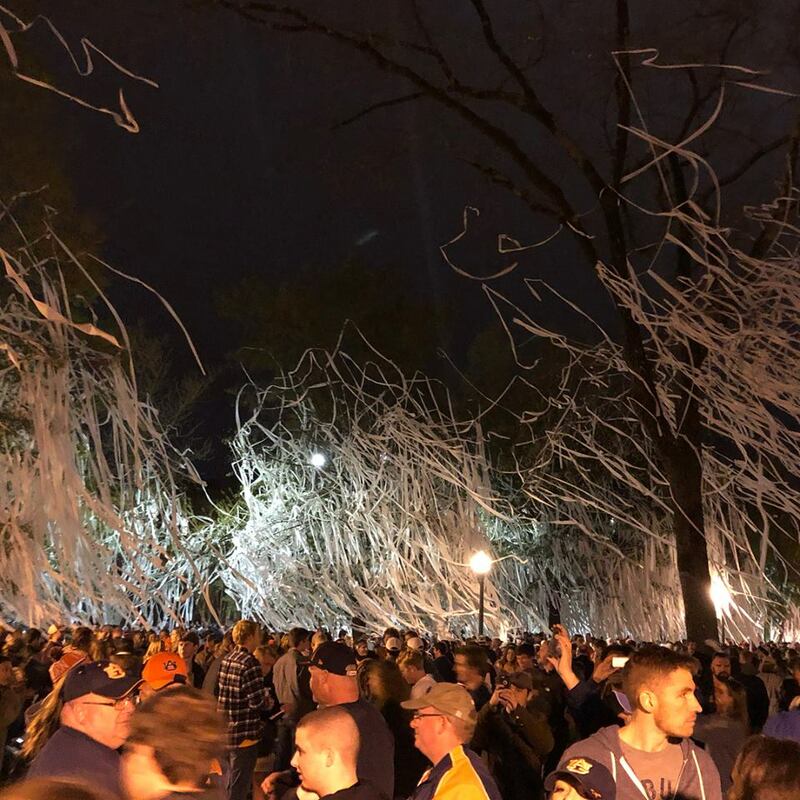 Of course, I had my fun in the spirit of rivalry, and of course I knew that Auburn could beat a team making their first really tough road trip with a freshman quarterback, but I didn’t want to get ahead of myself. The day was perfect for a football game played within what we call Amen Corner. It was chilly. It was sort of windy. It just felt like late season Southern football and it felt important. It was important. With SEC Nation in town, with the world watching, we knew we were in for a big day. We just didn’t know how big of a day it was going to be. The pregame atmosphere inside the stadium was much like The Mother of All Iron Bowls in 2013. The opposing team was surprisingly quiet because deep down they were scared. The Auburn fans were having fun because deep down they were confident. But then Auburn, as in the school, or as in the guys running the show, put on a nice little troll show to just make it a little more fun. It started when Nick Fairley, probably a Georgia fan’s least favorite player, was named the honorary mic man. He came out with a big gold chain on and made every #DWAG cringe. Then Carlos Rogers, who was part of the 2004 team that shut down another top 10 Georgia team, was named the honorary captain. Then just before game time, a hype video for the Deep South’s Oldest Rivalry played. It pointed out the score of the first game between these two teams, then the first time these teams played in Auburn, and then that other game that included a tip or something. It set the tone. But as loud as the crowd was, as hype as the stadium seemed, Georgia went down on the first drive and scored without too much difficulty. Of course, it all hinged on a 3rd-and-long on the third play of the game where Jake Fromm threw the ball up and the Georgia receiver was able to come down with the catch. If that play doesn’t happen, Georgia would’ve likely been shutout in the first half. 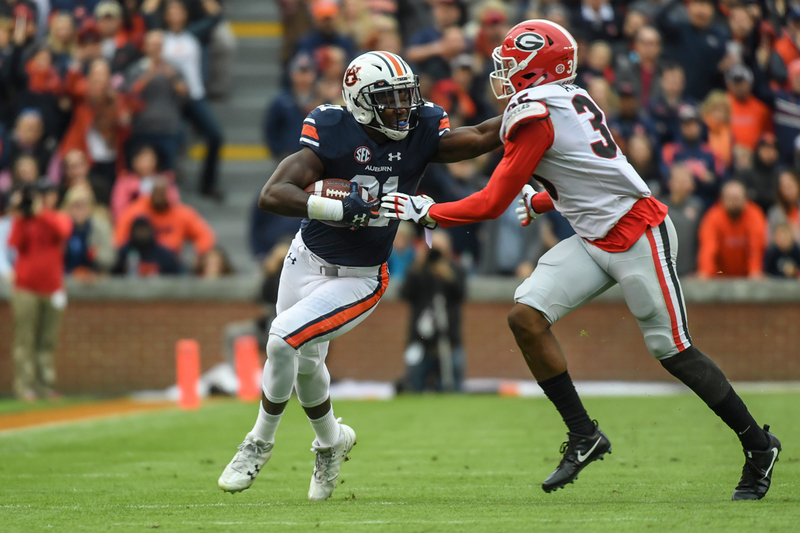 The Auburn defense was all over Georgia’s vaunted running game. They kept the 12-headed monster that was supposedly the best the SEC had to offer at bay the entire game. They also treated Jake Fromm like a freshman quarterback playing in his first hostile environment. They saw him very often and laid him on the ground just as often. It was an elite defensive performance playing like an elite defense would in a big game in front of their home crowd. The only slight negative was that on two separate occasions, Georgia’s only real scoring drives before the game was completely out of hand, the Auburn secondary went completely braindead and let Fromm convert on third-and-long situations. The first came on the aforementioned first drive of the game, and the second came in the 3rd quarter when an Georgia receiver was literally the only person on the side of the field for a good five seconds. The Bulldogs ended up getting a field goal on that drive. I’m not sure what happened, and it definitely ended up not mattering, but it was strange. If you take those two plays away, and then two really, really bad spots on the final drive of the game, Georgia may not score a point. Yes, really. That’s how well the defense played. If you went into this game thinking that Auburn would score 40 points, even I would’ve called you a homer. Not really, I picked them to score 31, but that was only because I tend to be slightly conservative in rivalry games. But after the first quarter when Auburn could only muster two field goals, and then another to start the 2nd quarter, I was beginning to hope for just 20 points and that the defense would continue its stellar performance. But after it was 9-7, something changed. The offensive line gave Jarrett Stidham a little more time. The play calling had the Georgia defense worrying about three things at once. Kerryon Johnson was shape-shifting and running over people at the same time. That’s exactly what makes this offense so good. They have a quarterback that throws as accurately as anybody in the country. They have a running back that can run on his 32nd rush just as hard as he did on his first. They have an offensive coordinator and head coach that know how to exploit everything on the field when given the athletes to do it. All three parts are critical and when they are all there, this offense can put up 40 against a very, very good SEC defense. I still don’t know why the kickoff return coverage has been so suspect recently, but that needs fixing. Auburn is coming up on one, possibly two, possibly three, possibly four really big games, and they don’t need any extra scoring against them. It’s the one sour spot right now, but it can be a big one in a tight spot. Oh, how could I forget the other trolls that occurred once the game was in hand. Ten years ago, I sat in Sanford Stadium and watched a black-jerseyed set of Bulldogs crack that Soulja Boy to a 25-point win. It wasn’t until later that I saw that Gary and Verne were doing it in the booth as well. It’s one of those things that I punch the computer screen to still to this day. Ten years later, Auburn returned the favor. It felt petty, but it felt oh so good. While I hated to see Georgia score that last touchdown, there wasn’t much about the day that wasn’t perfect. 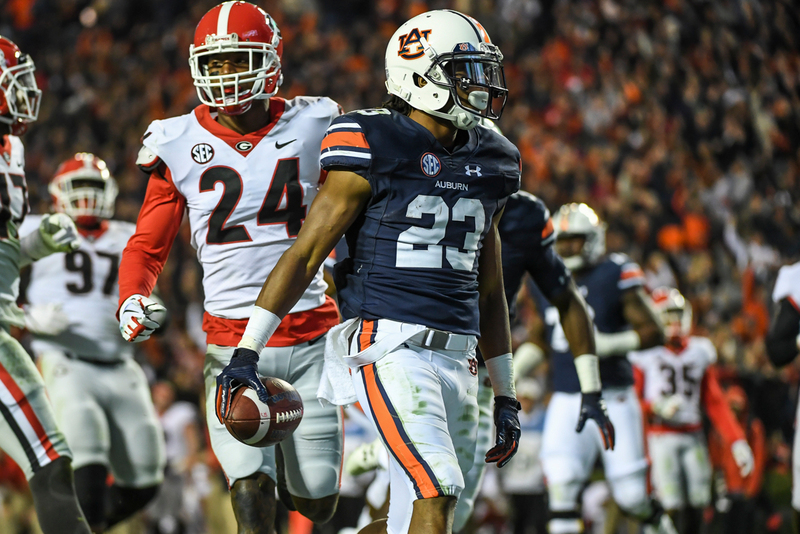 Auburn’s defense imposed their will. 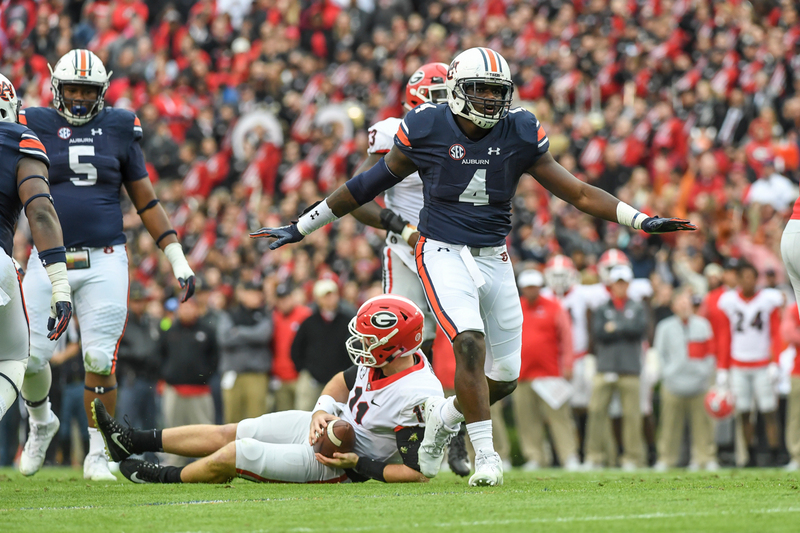 Auburn’s offense was called and executed to perfection. Auburn beat the #1 in the nation by 23 points. They now have everything in front of them. Win and they’re in, but first they have ULM. We know what they can do to a team in this state one week before the Iron Bowl. It’s one game at a time. One win at a time. They say time heals all wounds. Well I went to Athens in 2007 and his past weekend was the first time I felt that wound, and every wound since from UGA, was healed.